There are pros and cons to all of these methods, but one thing that won't ever do you wrong? Watching fictional characters cope with a breakup. Sure, you may be reduced to a puddle of tears while reliving scenes of the pair's official split, but ultimately, seeing someone else go through the same thing you are reminds you that you are anything but alone. People have been splitting up since the beginning of time! Fortunately, we're now living in decade where one can watch endless breakup stories from the comfort of your couch. The good, the bad, the funny: The ends of relationships come in all flavors. So do breakup movies. Fortunately, Netflix has you covered in that department. Click through and check out the best breakup movies to watch on Netflix right now. When a relationship sours, it can be hard to look back on the good memories. In Eternal Sunshine, Clementine (Kate Winslet) has all memories of their romance (the good, the bad, and the ugly) erased. 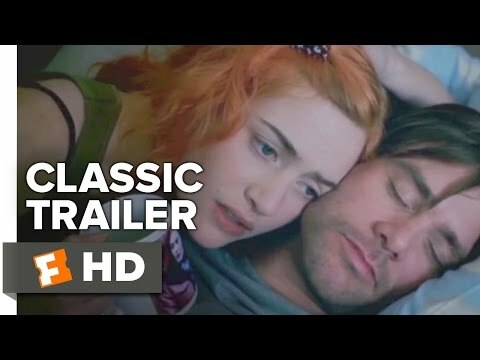 When her ex Joel (Jim Carrey) attempts the same thing in retaliation, his subconscious fights tooth and nail to keep Clementine. Whether or not these two are meant to be isn't the point: This breakup movie reminds viewers that it's perfectly okay to look back on the good stuff fondly, even when things are anything but. Jennifer Aniston and Vince Vaughn portray a mismatched couple who just can't quite make it work. After lots of bickering and post-breakup negotiating, the former couple learns how to move on and become better, more fulfilled people than they were when together. Every breakup has a silver lining. Sure, Carrie (Sarah Jessica Parker) and Mr. Big (Chris Noth) do, eventually, get back together — but that's not until the very end of the movie. Up until that long-awaited closet re-proposal, this is a total breakup film, one that proves friends can really get you through anything. Ryan Gosling and Michelle Williams have never been better than as a couple on the brink of a very sad split. This is one movie that requires ample Kleenex, but if you thought you were the only person dealing with a split that leaves you weepy — this onscreen couple knows exactly what you're going through. A crushingly realistic depiction of a young (toxic) relationship run its course, 6 Years will remind you not to stay in something that isn't working just because it's routine. Oh, you thought your breakup was bad? In this universe, unattached individuals are turned into literal animals if they don't find their mate by a predetermined date. Naturally, this makes people date those who are not the best fit out of desperation. Suddenly, singlehood in this world doesn't seem so bad, does it? 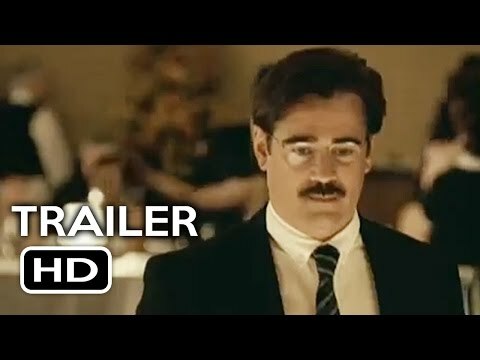 This movie is about a separation that is, tragically, not by either party's choice. 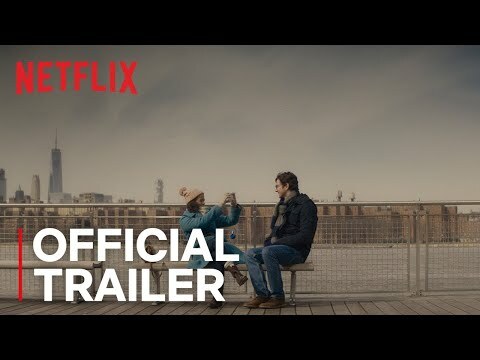 Abbie (Gugu Mbatha-Raw) is dying of cancer, and is terrified of what that will mean for Sam (Michiel Huisman), her fiancé and childhood best friend. Abbie helps Sam come to terms with what life will be like when she is no longer around, proving that moving on is possible even in the darkest of circumstances. This documentary, about the making of Lady Gaga's fifth album, is a portrait of resilience. Not only is Gaga coping with chronic physical pain, she's also dealing with a rocky relationship with then-fiancé Taylor Kinney. Why is this a good breakup movie? Because, after the split, Gaga's now on top of her game — and happier than ever. This movie doesn't technically involve a breakup, but it does involve moving on. Noah (Adam DeVine) is so convinced that his BFF Avery (Alexandra Daddario) is "The One," that he can't find the person who he actually should be with. Fortunately, a photobooth-turned-time machine is there to help him live out every scenario with Avery to prove that point. Violet (Sanaa Lathan) has spent her entire life attempting perfection — and, to her, that includes having straight, glossy hair. After a breakup with her longtime boyfriend — which leads to a late-night head-shaving — Violet realizes that such a goal is impossible. Post-split, Violet shoots for happiness instead.